Hello! I am Violeta Scrap and I want to show you a double Layout I have made with different elements from the “Hustle & Heart” Amy Tangerine’s collection. For this double layout I have used two papers as the base of the Project, the paper “Patchwork show” in which I have placed on a white cardstock paper of 11,5”x11,5” and the paper “Go places”. To both papers I have added some drops of spray paint in yellow color, because it combines perfectly well with the colors of the papers and the embellishments of the “Hustle & Heart” collection. After that, I have put the different photographs that I have combined with some pieces of the paper “Stay Wild”. As decorative elements I have placed in both papers small enamel dots in different colors that combine with the papers and the photographs. I have also put some transparent stickers, some faux suede bows in pink and yellow colors, some museum pins in different colors and a wood veneer in white and gold. Moreover, I have added some transparent stickers on the photographs and I have placed some photographs creating a flap with a white paper, which I have decorated with transparent stickers and some faux suede bows in red and blue. I wanted to create a funny layout with the pictures of my holidays, as a beautiful memory of some great days with my friends. I hope you can use this project as inspiration for your coming projects. If you have any questions about this layout you can leave your doubts in the comments below. 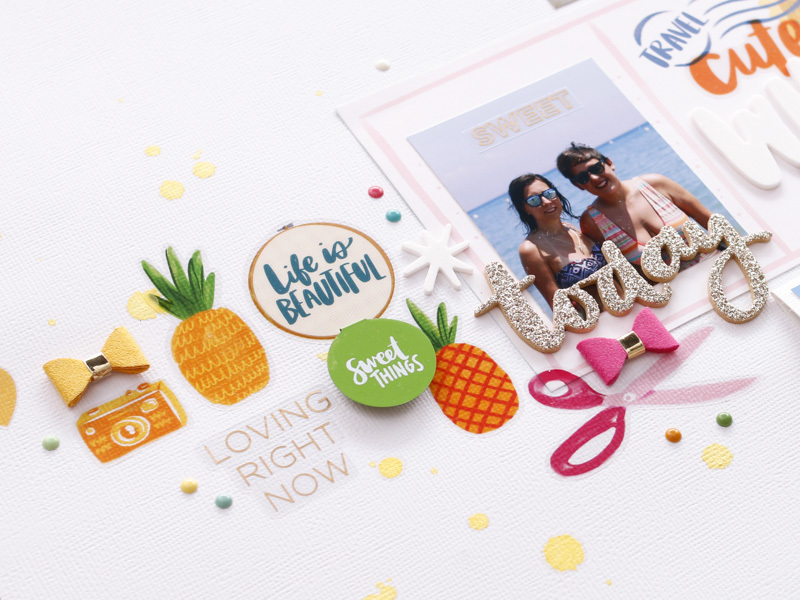 Thanks for sharing this layout with us, Violeta! Other Design Team member posts can be found here. 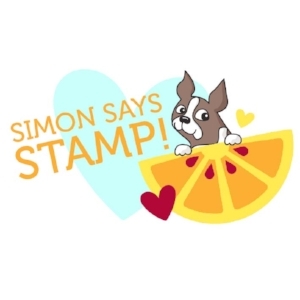 Shop Sunshine and Good Times at your local retailer or online at Scrapbook.com and Simon Says Stamp.